In a Cessna 172, you can fly from Palo Alto (KPAO) over San Francisco International, downtown, Golden Gate bridge, and back over Stanford in about one hour. Nice. 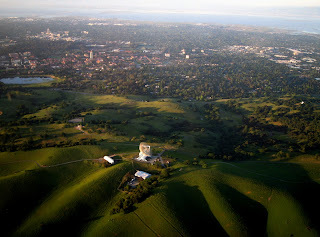 Stanford and "the dish", from about 1500 ft AGL. 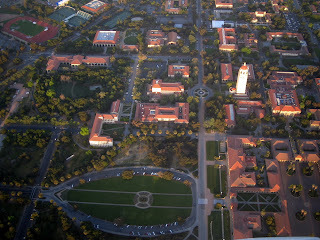 The oval and Hoover tower. 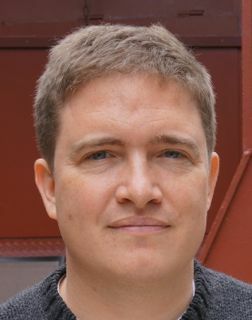 Another Baytour was published on May 07, 2006 .